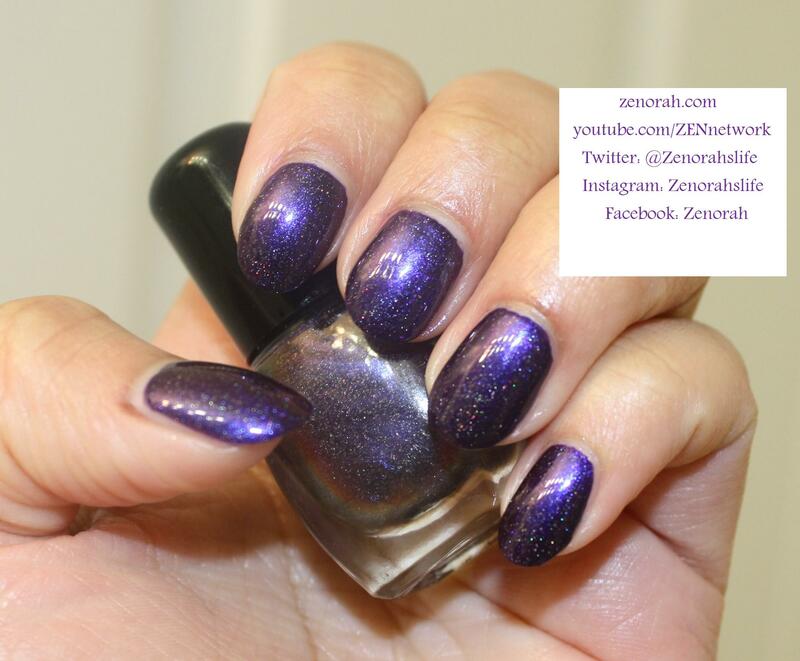 Okay now onto the reason for this post, I picked up this Zoya polish months ago and I am kicking myself it has taken this long to blog about it! 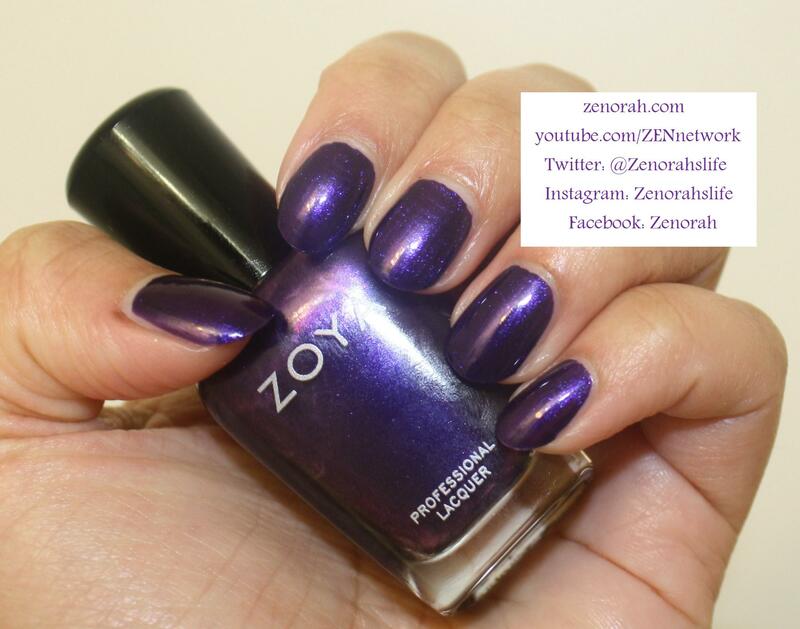 Zoya ‘Belinda’ – is a gorgeous eggplant burple shimmer polish that was released in Zoya’s Winter ’13 Zenith Collection. This is the type of purple I LOVE to wear when I need a change from the dark Winter purple polishes like OPI Lincoln Park After Dark & believe me this polish is even more stunning in person! This is probably the most true to colour photo I have to share & it just glows on the nail! 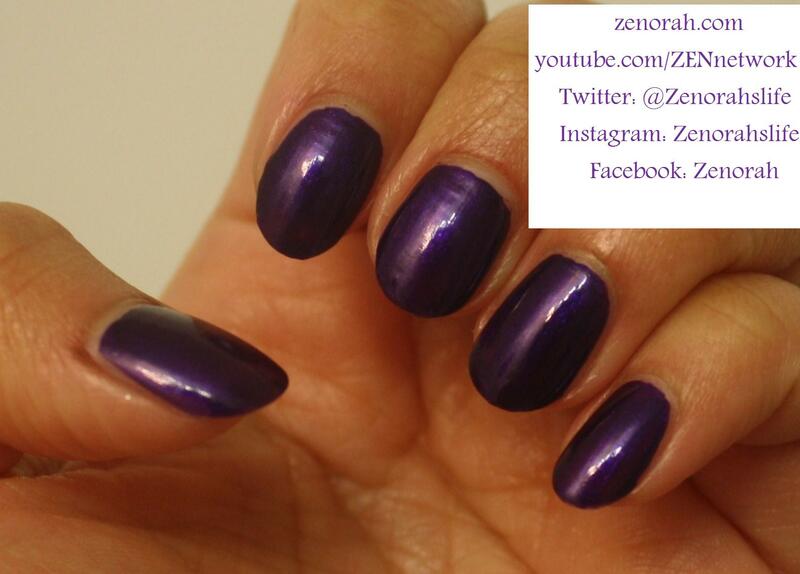 It was opaque in 2 coats, perfect in consistency, dried within 10-15 mins with each coat and I adore it! With Spring right around the corner I definitely recommend wearing this polish as much as you can if you have it in your collection. 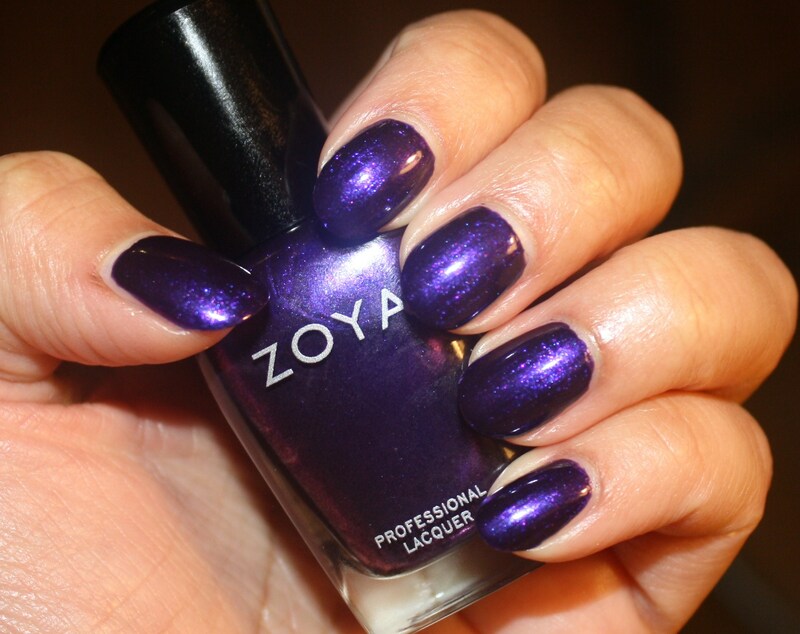 And believe it or not but with as many purple polishes I own, I do not have a dupe of this at all! This colour reminds me so much of old aristocratic money I have no idea why lol. I guess this is the type of purple I have always associated with royals (yes I am a history nerd as well lol). I was recently sent a very kind nail mail package by Indie Nail Polish make Demi known as BaronessX Lacquer on Etsy. 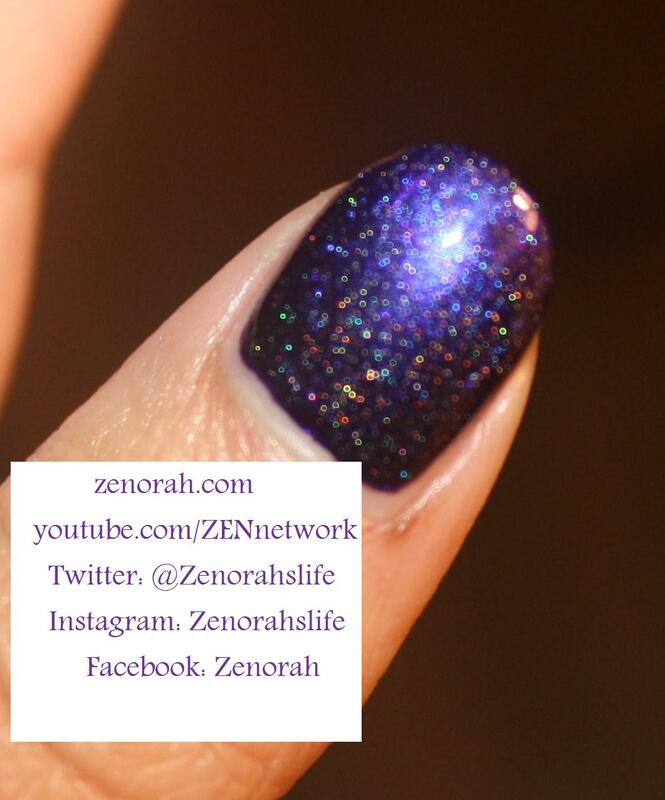 And I decided to pair this gorgeous holographic polish over Zoya ‘Belinda’ the result was simply amazing! 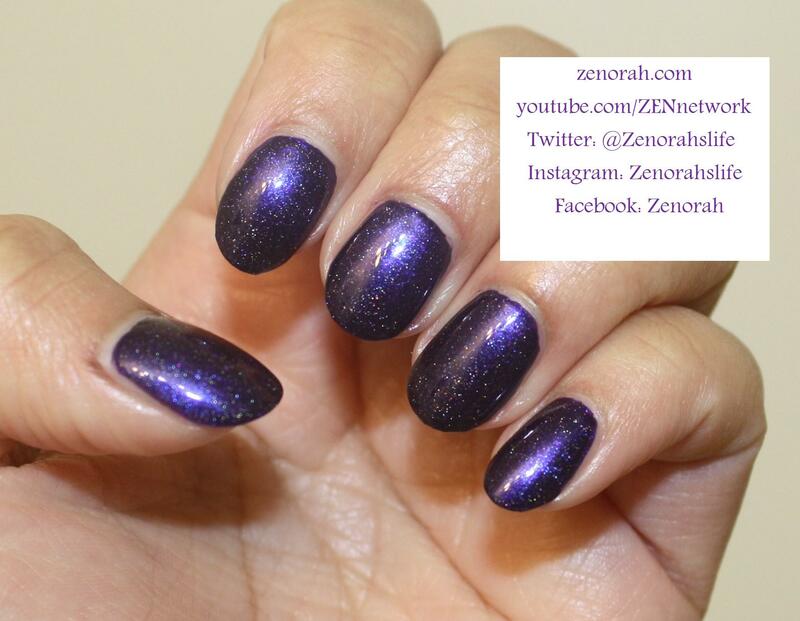 BaronessX ‘Roy G. Biv’ – is described by Demi as “as a multichrome (Chromaflair) shifter with added holo (scattered) pigment and it changes from blue to purple to red to gold”. I definitely second this description, it literally shifts to every colour under the rainbow under sunlight and artificial light! 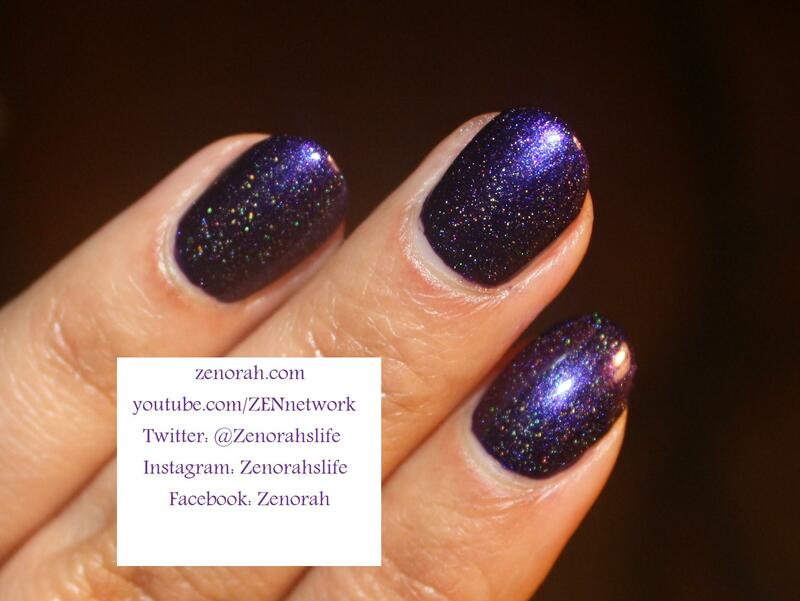 This is one layer of BaronessX “Roy G. Biv”, it did not change the base colour of Zoya Belinda and dried within average time of 10-15 minutes. I love how this polish changes the dimension of the base polish but doesn’t take away form the beauty of Zoya Belinda as well. Can you see that holographic shift?! I LOVE IT! This is a 5ml bottle however she does sell it in 15ml sizes as well! Just few a close up of the manicure, it’s soooooo gorgeous! I LOVE this blurry macro shot, it looks like circular holographic particles floating on nails! You guys definitely need to check out her polishes. I have 3 others to review so look out for more swatches soon. 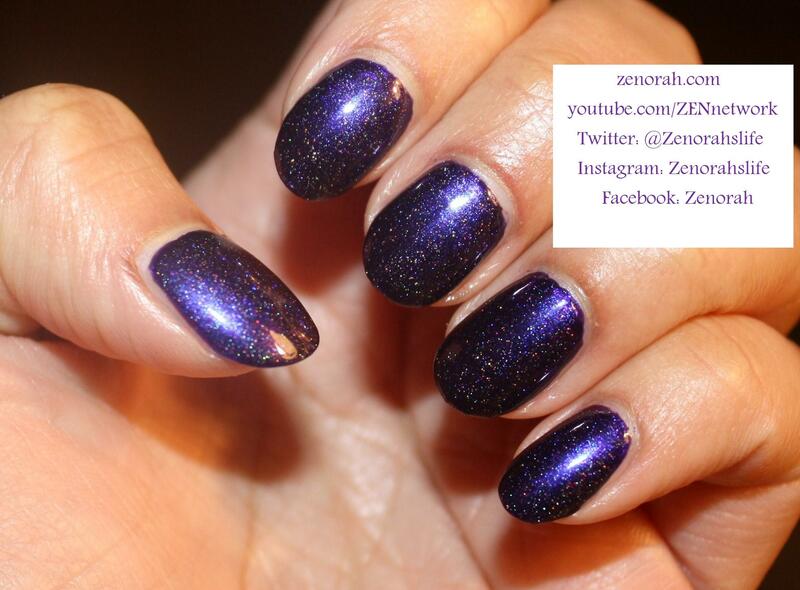 It reminds me of a grown up version of the galaxy manicure doesn’t it?! I highly recommend checking out Demi polishes and a special thank you to her for sending them to me to try out!! I am super excited to swatch the others very soon! 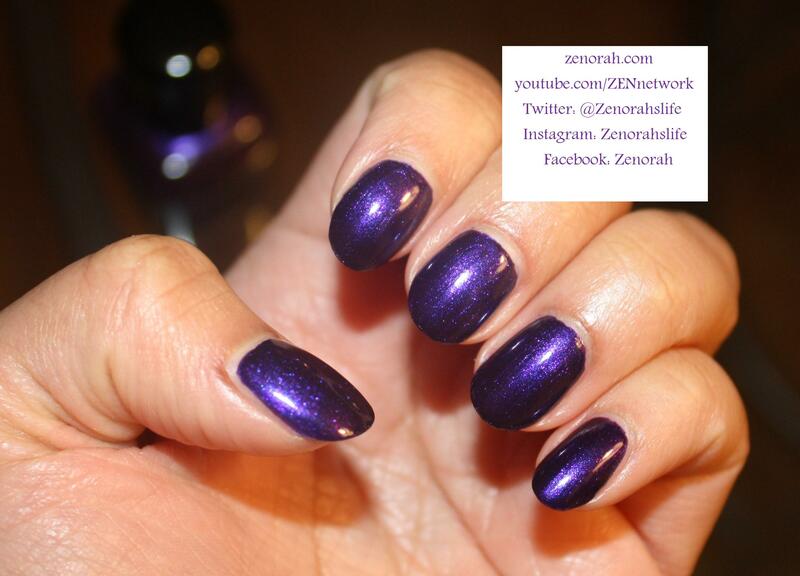 Do you own Zoya ‘Belinda’ & BaronessX ‘Roy B. Giv’ ? What are your thoughts on these nail polishes? Disclosure: The product in this post were provided to me by the manufacturer, their PR firm or retailer for my honest review. All opinions are of my own.